Oregon is no stranger to beautiful views, and there are countless places that you and your family can visit to take in the beauty of the region. But to help you narrow down these choices, we’ve compiled a list of the best views in Central Oregon, including Sunriver, Bend, and the Cascades, and what they have to offer. Remember: While you can access these areas in the winter, be mindful that you’ll need to snowshoe or ski to most of these locations if you choose to go during the colder months. This isn’t so much of a destination, but a journey. Take the Cascade Lakes Scenic Byway from Bend, and you’ll find amazing views without needing to get out of your car. If you’re in the mood for a drive, then this is a great option. If you’re headed to a destination near the Cascades, then you’ll find yourself on this road too. You’ll come across lakes, beautiful mountain views, and dense forestry that, during the winter, is covered in snow and a perfect picture opportunity. 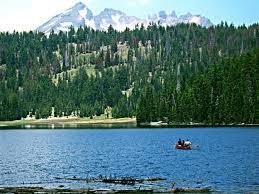 As you make your way up the byway, you’ll come to an area where you can turn right, where you’ll reach Todd Lake. In the summer, it’s a quick hike to the final destination, so drive your car up to the parking lot, and then walk about a quarter of a mile to spectacular views. In the winter, you can park at the turnoff and hike, snowshoe, or ski in. 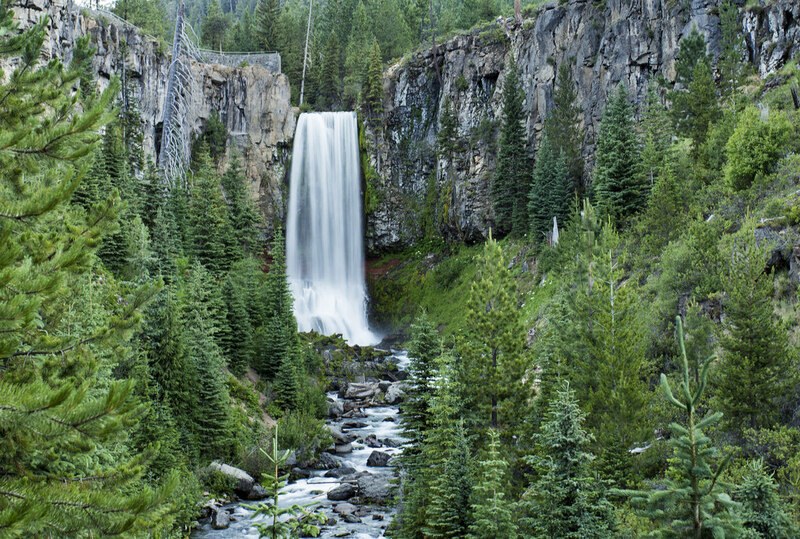 Tumalo Falls is easy to get to, with the option of trail hiking, if that’s what you’re looking for. During the warmer months, it’s an easy drive and you can park close to the falls. It’s about a quarter-mile hike to get to the climax, easy for all ages. You can spend all day here, just taking in the views. It’s such a pretty spot that you’ll often see wedding ceremonies and other special occasions being celebrated. Feeling adventurous? Feeling so adventurous that you’d like to climb a mountain? There are a few options for you. You can hike the Broken Top trail, around 15 miles in total. It’s a hard hike, but if you’re a seasoned hiker, you shouldn’t have too much trouble. Besides the views from the peak, the scenery as you climb is equally pretty. South Sister is the third tallest mountain in Oregon and makes for a labor-intensive hike. Most optimally hiked in June through October, it’s about 12 miles total, with a huge payoff. Like Broken Top, the view from the peak is amazing, and you’ll come across even more scenery that you’ll want to hang out around, including Lake Moraine. 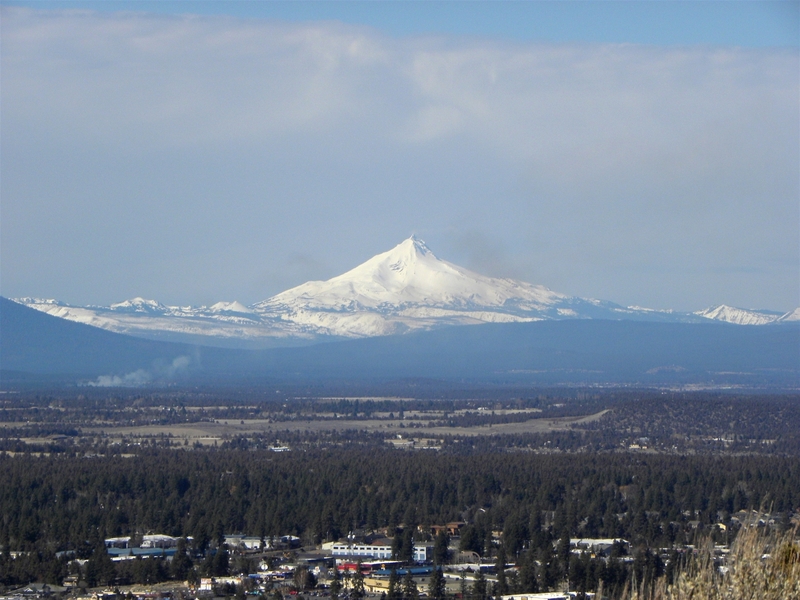 Pilot Butte is a dormant volcano in Bend that, once at the top, lets guests see the entirety of Bend and the surrounding areas. Mt. Bachelor, Three Sisters, Broken Top, Mt. Hood, and Mt. Jefferson are all visible in the distance. You can climb up Pilot Butte for a short, somewhat intense workout. Gaining around 500 feet in elevation over a spiraled, mile-long hike, once at the top, you can cool down by taking in the sights. If you’re not in the mood for a workout, then you can drive up the paved path during the summer months. We’re stepping away from the mountain scenery with this one. Get away from the light pollution, and there are awe-inducing night skies to gaze at in Central Oregon. There are a handful of ways to go about doing this, the most obvious being to get in your car and drive someplace where the light pollution is non-existent (which is easy in Sunriver and the surrounding areas). Another good option is the Oregon Observatory at Sunriver. If you go to their nighttime stargazing class, you’ll be able to observe far-off stars and the Milky Way. A guided class will teach you about constellations and the night sky. There’s a reason Central Oregon is so popular and people flock here either to move or for vacations. That’s because the outside adventure is unparalleled. We’ve compiled a small list, but there are countless other views you can explore. That’s the beauty of this part of the U.S. — anywhere you turn, you’ll find something you may have never experienced before. If you're interested in staying in the Central Oregon area, take a look at the rentals we have available.